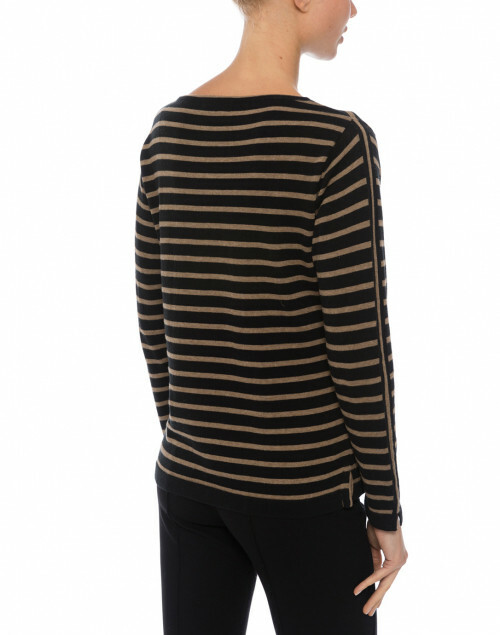 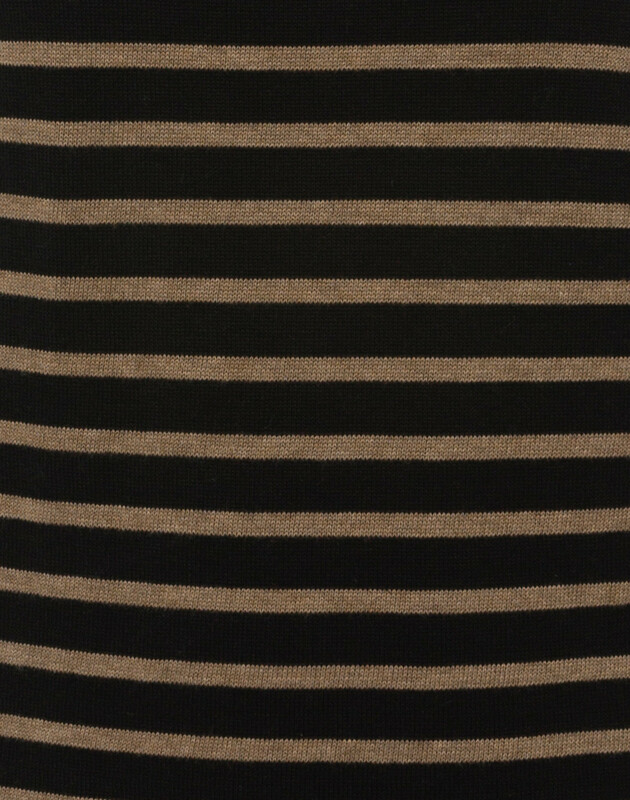 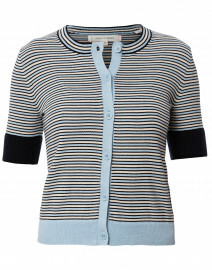 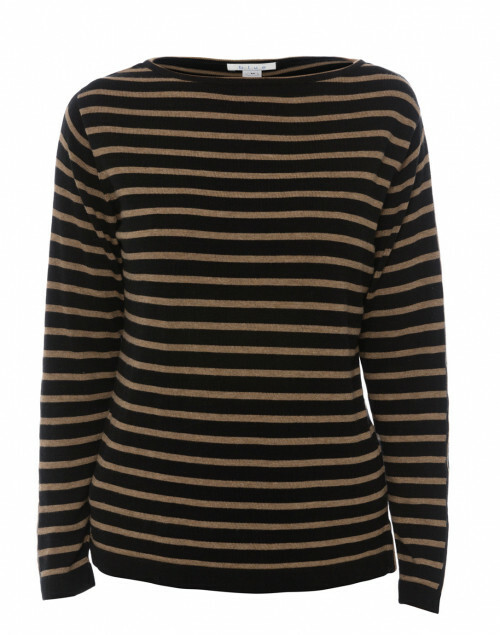 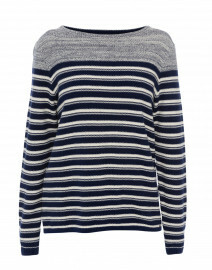 Blue' black and camel striped sweater is a wardrobe staple that's sure to be worn for seasons to come. 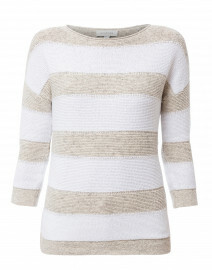 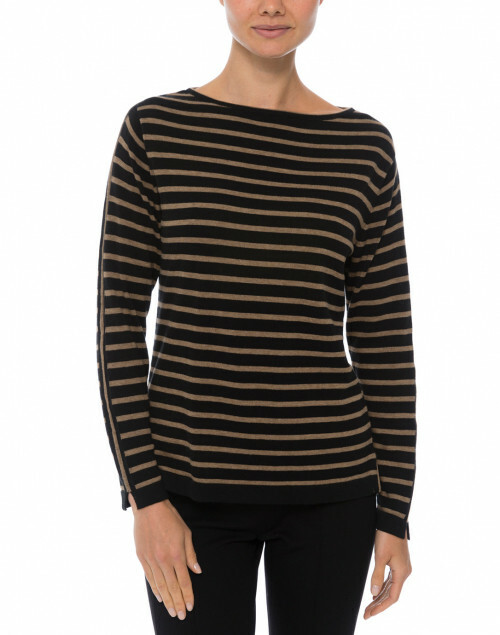 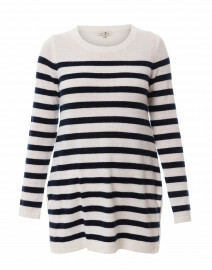 Knit from Peruvian cotton, this style comes with an elegant boat neckline and long sleeves. 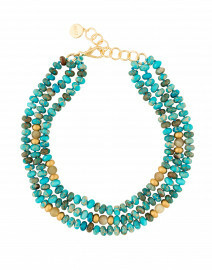 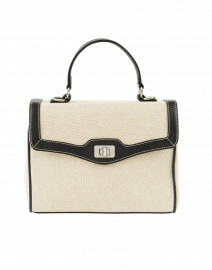 Pair yours with slim pants, flats and a chic carryall for weekend errands.